Born in Saratov (Russia). He began his musical studies in 1973 at the Professional Conservatory of Music in his native city. In 1982 he entered the “Gnesin” Academy of Music in Moscow. Later on, he formed part of several musical groups such as the Moz-Art Quartet, with which he made numerous recordings for the Russian National Radio and Television. Between 1991 and 1993 they toured Switzerland, Germany, Turkey and Italy. In 1997, together with the famous French pianist Evelyne Dubourg and the cellist Alexander Osokin, he formed the “Picasso” Trio, with which he participated in prestigious international festivals such as the “GREC” International Festival in Barcelona and made recordings in Spain and Germany, including the recent publication of the Beethoven trios. In 1994 he established his residence in Spain where he still works as a teacher of the Cordoba Orchestra. Since 2005 he has been perfecting his orchestral conducting studies with maestro Manuel Hernández-Silva. From 2006 to 2007, he was the titular conductor of the Choir “Ziryab” of Córdoba. In 2008 he was appointed Principal Conductor of the choir “Camerata Abulense” which he conducted for 4 years. He is Principal Conductor and Founder of the Metropolitan Chamber Orchestra of Ávila and the Symphony Orchestra and Choir “VOLGA ART”. In 2012 he performed as guest conductor with the Lithuanian National Orchestra. In Spain he has conducted the Elche Symphony Orchestra, the Youth Orchestra of Córdoba, the Academic Orchestra of Granada and the Cordoba Orchestra, among others. On several occasions he has acted as teacher and assistant conductor with the Orquesta Joven de Andalucía. 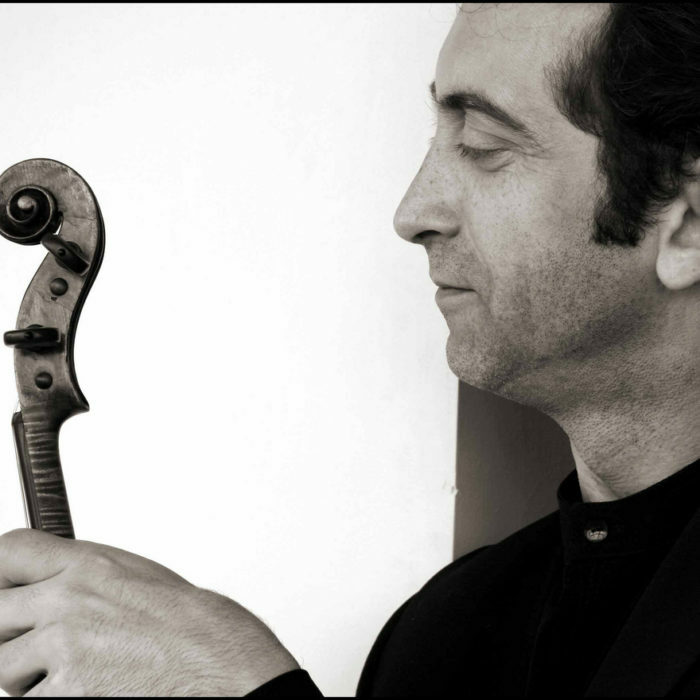 He has conducted internationally renowned soloists such as Andrea Bacchetti, Mario Hossen and Leslie Howard. 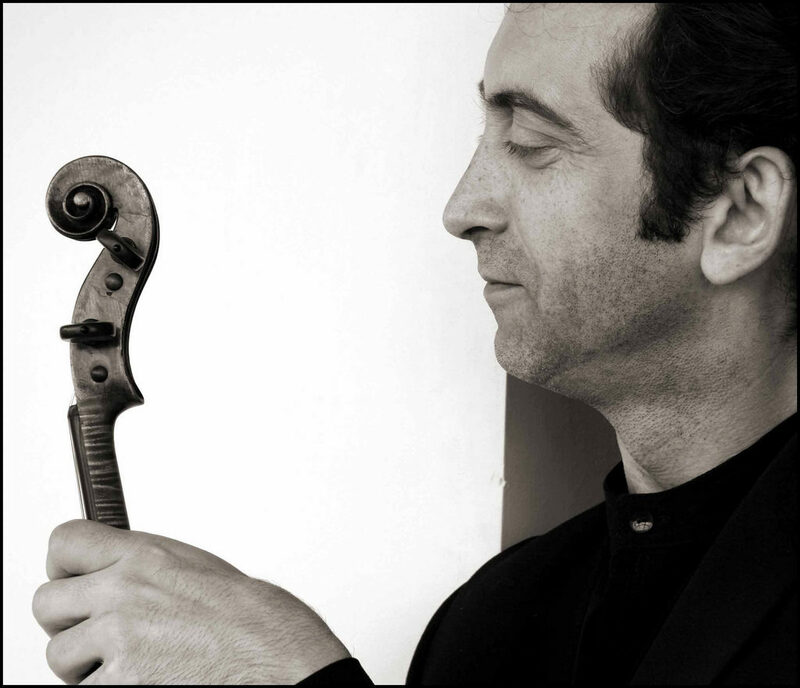 He is currently the Concertmaster of the Chamber Orchestra of the Valencian Community, Principal Guest Conductor of the Tambov Symphony Orchestra (Russia). In 2014 he was appointed Permanent Director at the International Festival Piano Guadalquivir. In his performances he plays a violin by Joseph Gagliano from 1779. Pодился в Саратове (Россия). Свое музыкальное образование начал в 1973 году по классу скрипки. В 1982 году поступил Российскую Академию им. Гнесиных в Москве. В период с 1991 по 1993 год гастролировал в Швейцарии, Германии, Турции и Италии. С 1994 годa проживает в Испании, где, работает в Симфоническом оркестре г. Кордовы. В 1997 году, вместе с известной французской пианисткой Эвелин Дубург и виолончелистом Александром Осокиным, создает трио “Пикассо”, с которым участвует в престижных международных фестивалях, таких как: Международный фестиваль “GREC” в Барселоне и “FET” в Таррагоне. В 2006 году записывает несколько компакт дисков в Испании и Германии, подчеркивая недавнюю публикацию всех трио Бетховена. С 2005 года обучался дирижированию оркестра у Mаэстро Мануэля Эрнандес-Сильвa. В 2008 году был назначен главным дирижером хора “Camerata Abulense”, которым руководил 4 года. Он является дирижером и основателем Kамерного оркестра г. Авилa (Испания) и Симфонического оркестра и хора “ВОЛГА-АРТ”. В 2012 году выступает в качестве приглашенного дирижера c Литовским Национальным Симфоническим оркестрoм. В Испании руководил Симфоническим оркестром Эльче, Академическим оркестром Гранады, Оркестром Кордовы и другими. Он дирижировал всемирно известными солистами, такими как: Андреа Баккетти (фортепиано), Марио Хоссен (скрипка) и Лесли Ховард (фортепиано) и другими. В своих выступлениях играет на скрипке Иосифа Гальяно с 1779 года. Nació en Saratov (Rusia). Comenzó sus estudios musicales en el año 1973 en el Conservatorio Profesional de la Música de su ciudad natal. En el 1982 ingresa en la Academia Superior de la Música “Gnesin” de Moscú. Posteriormente forma parte de diversas agrupaciones musicales como Moz-Art Quartet con las que realiza numerosas grabaciones para la Radio y Televisión Nacional Rusa. Entre 1991 y 1993 realizan giras de conciertos por Suiza, Alemania, Turquía e Italia. En el 1997, junto con famosa pianista francesa Evelyne Dubourg y el violonchelista Alexander Osokin, forma el Trío “Picasso“, con el que participa en Festivales Internacionales de prestigio, como Festival Internacional “GREC” de Barcelona y realiza grabaciones discográficas en España y Alemania, destacando la reciente publicación de la integral de los tríos de Beethoven. En el año 2012 actúa como director invitado con la Orquesta Nacional de Lituania. En España ha dirigido la Orquesta Sinfónica de Elche, Orquesta Joven de Córdoba, Orquesta Académica de Granada, Orquesta de Córdoba, entre otros. En varias ocasiones ha actuado como profesor y director asistente con la Orquesta Joven de Andalucía. Ha dirigido los solistas de fama internacional como Andrea Bacchetti, Mario Hossen y Leslie Howard. Actualmente es el Concertino de la Orquesta de Cámara de la Comunidad Valenciana, Director Principal Invitado de la Orquesta Sinfónica de Tambov (Rusia). En el 2014 fue nombrado Director Permanente en el Festival Internacional Piano Guadalquivir. En sus actuaciones toca el violín de Joseph Gagliano de 1779.